multi-disciplinary marketing communications agency and one of the UK’s leading distributors of marketing materials for leaflets, brochures and posters. Pear Communications employs drivers to distribute marketing material. 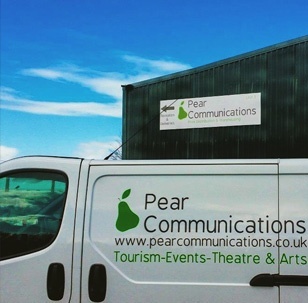 The management team at Pear Communications had three specific remits that needed addressing. The primary requirement for the business was a better means of communication with the drivers, to collect status updates throughout their working day. Secondly, the company required a better method of reporting to clients about time and attendance and accountability. Additionally, the business was also contacted by its insurance provider AIG who suggested a lone worker policy was required to comply with its Employers’ Liability insurance policies. After reviewing other solutions, Pear Communications implemented Crystal Ball’s smartphone app solutions MobileTrack Pro and MobileGeotag in January 2014. Its decision to choose Crystal Ball over other alternatives was based on Crystal Ball’s unique mobile solution. Because the solutions run on mobile handsets, Pear is able to track its employees whether they are in vehicles or on foot. MobileTrack Pro provides real-time visibility of driver locations on Crystal Ball’s Google mapping system. With the “nearest to postcode” functionality, Pear Communications also has the ability to identify which driver is closest to certain pick up points. The system also delivers scheduled timesheets which provides management with accurate data which can be used for wages and overtime. Additionally, MobileGeotag was implemented by Pear Communications to improve its methods of reporting back for management and back to its clients. With this smartphone application the drivers are able to capture photographs and signatures which are tagged with time, date and location data and then transmitted back to the Crystal Ball system. 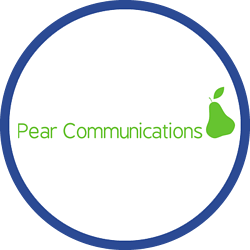 Both smartphone applications implemented by Pear Communications work on a single web-based platform and offer a solution that meets the company’s requirements. With the introduction of MobileTrack Pro, Pear Communications now has complete real-time visibility of its drivers 24/7. This has enabled it to monitor locations and gain a clear understanding of its staff’s distances from drop-offs and collection points. Not only has this improved internal procedures, the management team have also noticed a significant improvement in overall efficiency within the business. Pear Communications has also seen particular benefits with MobileGeotag. This application has improved the company’s internal reporting measures as management can now see exactly where drivers have been with certain leaflets. Since they are now able to report this information back to clients, this has also enhanced the level of customer service that can be offered. Additionally, MobileGeotag has been particularly useful for tracking the leaflet display stands; each time a stand is placed, a Geotag is now sent to the Crystal Ball system which allows the management to understand which stands are going out and where. “We have seen a recent increase in productivity since having Crystal Ball. Over the last few weeks we have noticed significantly more leaflet stands going out than before Crystal Ball was implemented.